Booking into a spa hotel or spa resort that is a global brand you can expect the ethos, intent and spa product being offered to be consistent, after all that is why loyalty prevails. The Barai within our Collection offers only eight exclusive residential spa suites, is a part of and located adjacent to the Hyatt Regency Hua Hin, Thailand. Unable to retreat to Thailand at this point in time, my mind pondered the options of a spa hotel or day spa in Melbourne that would suit my needs. 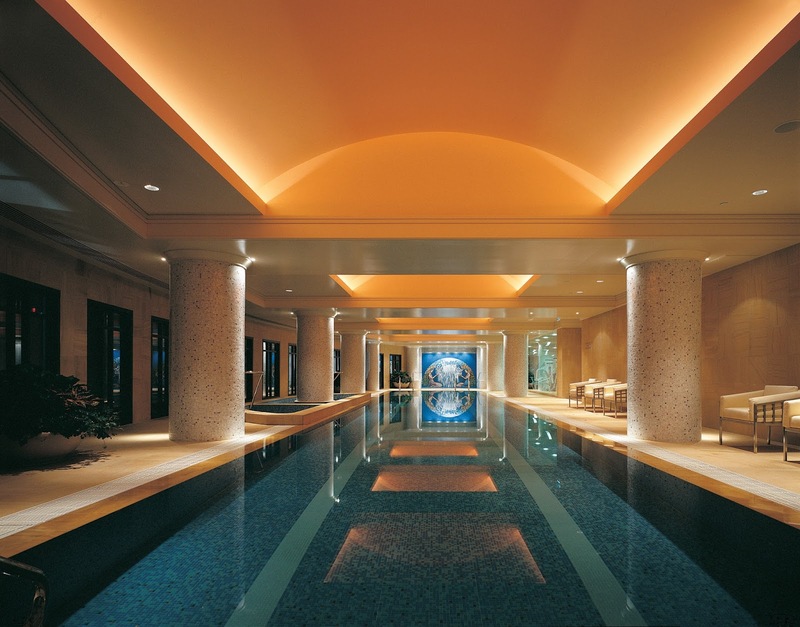 Knowing The Barai’s emphasis on water treatments and facilities and the quality spa products they use, my attention quickly diverted to the Park Hyatt which is home to the Park Club Health & Day Spa. Perfect! The Park Club Health & Day Spa provided a steam room, sauna, jaccuzi and pool for me to restore and rejuvenate. Dedicating time to the warmth of steam and a sauna is a must for me before a treatment and the pool allows for a few laps to stretch my limbs. Beyond the facials, body treatments, massages and beauty treatments for men and women within the spa menu, there's also wellness retreats, which equates to a ‘signature treatment’. Wanting a bit of everything, I booked a Peace wellness retreat encompassing a calming massage, revitalising facial and scalp massage. My day started in bit of a flurry as I had an hour and half drive and the weather was horrendous. Thank goodness for complimentary valet parking, to simply arrive and hand over the car makes life easy. Within minutes, I was in the infamous white cozy robe and sipping a cup of warm ginger and lemongrass tea. Perfect – by now I’ve forgotten the outside world. Uki, my therapist was amazing, asking after areas that I wanted attention given to and questioning my comfort throughout. Having only a thirty minute massage was not going to treat a full body, but I know if it was I would have been snoring. Time from my scalp massage was taken and given to pressing and kneading my glutes (bum muscles), whilst working through my tension and pain, Uki advised this is a common area that needs attention for people who sit at a desk working for a long period of time. Oh the joys! Whether a sixty minute plus or express facial, Kerstin Florian the exclusive spa-only brand that is developed using natural ingredients and is free from heavy preservative and perfumes is used at both the Park Club Health & Day Spa and The Barai. Uki offered more advice suggesting I apply vitamin c+ serum under my moisturiser on my face at night to assist with fine lines; I thanked her for the advice and the sample, but eagerly purchased the Rehydrating Neroli Water at the account on my departure. I love having a hydrating mist in my bag. The serum maybe next times purchase. I was out the door and off to a lunch meeting feeling blissfully relaxed. Now, we encourage you take a little time our for yourself. During November there's TWO OFFERS for you to experience the wonderful therapists, spa products and treatments at the Park Hyatt Melbourne. 1st - Unwind with the Pure Indulgence package - 60min Turkish Salt Scrub, 30min Relaxation Massage, 75min Advance Facial + 30min lunch. 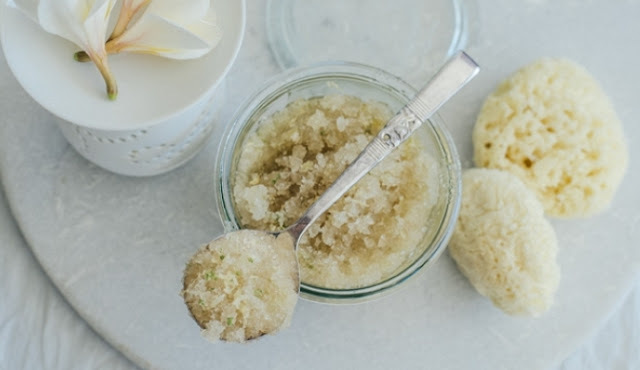 Mon-Sat cost $369 and you'll be gifted with an Eucalyptus/Wildflower Bath Soak to take home (valued $65). 2nd - Book any 1hr treatment and receive a complimentary foot or scalp massage (valued $49). Remember to mention Spa Wellness Travel. 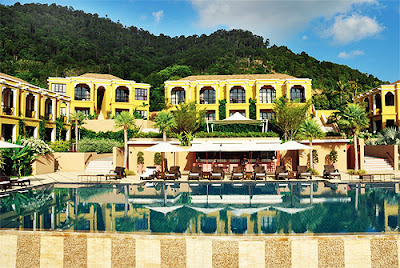 Contact the Park Club Health & Day Spa on 03-9224 1222. Do you ask for what you want or hinder and hide behind your smile to appease others? Whether you’re single-solo or in a relationship, sometimes asking others to do what you want to do or where you want to go maybe daunting. What’s prompted this blog you may ask? Well, I’m reading an article by Mel Robbins that’s featuring failure, rejections and fears that may be holding people back because they may not be asking for what they want. So, of course I stop, ponder and question myself - being pragmatic, I like to check in with myself every now and then! Its something you may like to do for yourself also. When you’ve allowed yourself that moment to question what you would like, it may seem like a dream and it is until you take action, then it will become a reality. To be in that present moment, to ask yourself "what do I want", you give yourself power. Power to ask whoever it may be for whatever you may want and it is most likely you’ve pondered this, stalled and procrastinated before asking it. Which takes us back to the underlying reasoning of failure and rejection or is it fear as to why you haven't asked? Every time we ask for something, it’s a hurdle jumped in our life long journey. If there is a no or rejection to what you've asked, give it a tick, it’s done then move on to the next. It’s coming closer to the end of the year, is there something that you would have loved to have done or experienced by now or want for the future? What’s the question sitting inside you that you’d love to ask and who? Asking is about taking action and gathering information that can keep you moving forward - use it to help enhance your mind-body-spirit. Enjoy! What have you asked for and received? Standing in the kitchen the other day peeling a mandarin to consume to increase my vitamin c intake as I was feeling the onset of a cold. I realised, its a given, I have citrus in my fruit bowl all year round and I love it! Grapefruit, ruby red my favourite, was brought to my attention again a few years ago when staying at an elderly friend's house. Every morning, like my nana's kitchen used to be when I was child visiting, a small glass of freshly squeezed orange juice, toast with jams and vegemite would be on the breakfast table along with a pot of tea. The difference at my friend's table, she'd have half a grapefruit placed at my seating waiting for me and an avocado was an addition to the condiments. In the 70's I tried it, as dad was on some grapefruit fad, but I found it repulsive. Sporadically the grapefruit of delicious juiciness and flavour has become a favourite way to start the day. Another variation to the start of my day is a glass of warm water and a slice or two of lemon. I'll keep replenishing the glass, thus myself throughout the day with the lemon water until there's no lemon flavour, only then to add another slice to continue drinking. This also helps as a reminder to drink those eight glasses of water a day. Another citrus take on my morning beverage is, if I have a lime and feel like a bit of zing to my green juice, I'll simply squeeze it in. It's all fresh and full of goodness. Come the warmer days and days of extended daylight, its limes that I cherish. Why? because I love a gin & tonic with lime. Lime, I also love squeezed over a delicious Thai curry. Oh, know thinking of food, another favourite is lemon slice or a piece of lemon tart with a hot freshly brewed lot black coffe. Lemon gelato, who doesn't love that at least once on a summers day or when exploring Italy. Citrus offers many benefits beyond being a boost of vitamin c during winter, studies show it may even reduce the risk of women having a stroke. So, when next visiting your local farmers market or grocer store, grab an assortment of citrus and as I've said before "keep it fresh and keep it real". 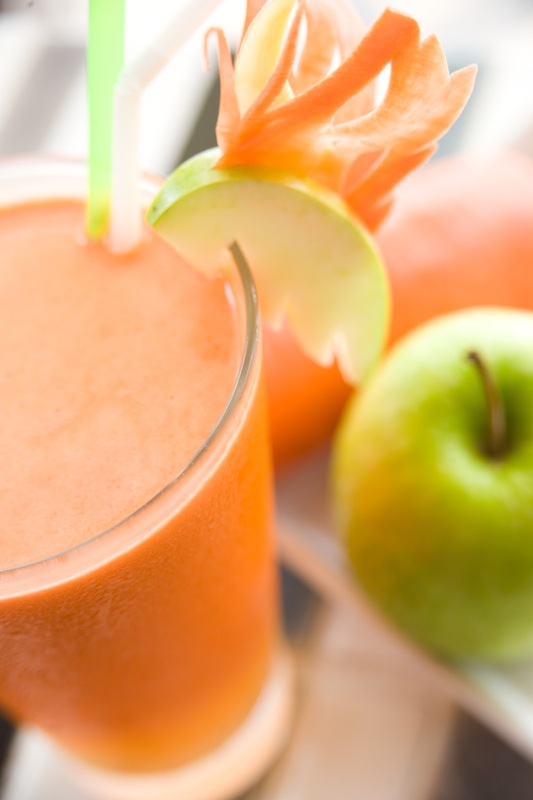 Here I'm sharing some delicious recipes that I love to use that involve citrus - enjoy! 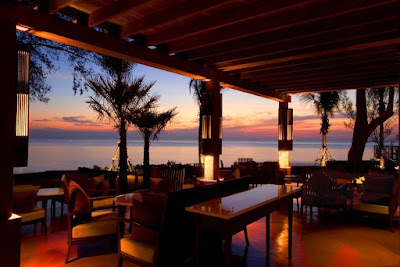 The Barai is an amazing spa resort located on the beautiful beach at Hua Hin, Thailand. It was the sister property I.Sawan Residential Spa & Club at the Grand Hyatt Bangkok that brought The Barai to my attention. The space, the treatment, the facilities and the comforts that were dedicated to allowing an individual to retreat and switch off, was breathtaking. “We are very proud to launch our new Lifestyle Collection programs which will focus on identifying our guests personal lifestyle needs, offering support and guidance to help recover from the daily stresses of modern life. After completing the program, our guests will leave THE BARAI feeling revitalised and healthier at the end of their stay. With each program, our guests will receive a Healthy Lifestyle Consultation including a comprehensive Body Composition Analysis with our new InBody machine which goes beyond traditional body composition analysis. Guests will be able to get a detailed analysis of their body fat percentage, lean body mass, and total body water in order to track their health progress and understand how their diet, lifestyle and training regime are influencing overall body composition,” said Ms. Sylvia Marsden, Director of Spa, THE BARAI. This Lifestyle Collection offers a wide range of relaxing and result-oriented programs that draw inspiration from ancient traditional Thai health rituals, along with the best and most innovative of Western therapies. 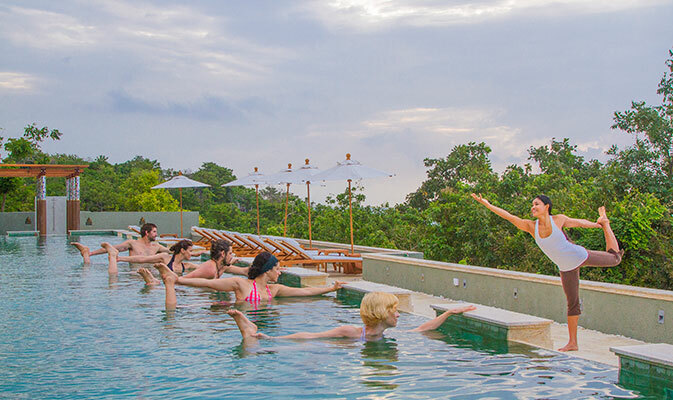 Taking a holistic approach to mind, body and spirit while focusing on a customised itinerary, the programs are designed to meet the needs of each guest, addressing the most important elements of health & wellbeing. Each program also complemented by a new healthy menu to be served at McFarland House restaurant. "Spa Day for Breast Cancer"
Spa Wellness Travel as a partner of BCNA - breast cancer network australia - is thrilled to initiate and have the support of the following amazing Day Spas around Australia who will donate monies from clients spa treatments on the days listed below. If you are a Day Spa within Australia who'd love to support and be a part of "Spa Day for Breast Cancer" contact us here today to receive relevant information. "I, personally want to thank the above day spa's for kindly contributing $10 from the spa treatments booked for the 23rd or 24th June and all the persons that are taking a spa treatment on these days. Half your luck and enjoy the downtime! I have dealt with two breast cancer diagnosis and numerous procedures since 2007 and know that visiting a day spa or retreating to a spa health retreat was time, that I gave to myself to remove me from the thoughts and processes of dealing with breast cancer and for that I was greatly appreciative and grateful." From here on its going to be porridge laced with cinnamon, flaxseeds and walnuts with a dash of milk that will accompany my green juice in the mornings. Lunch and dinners will become hot meals full of flavour and substance and that's the reason why I'm sharing this with you. The change of the season's climate gradually sneaks upon us. Sure, we've had intermittent rain during the year thus far, but it's the chilly mornings and extra layers that are now being warn day and night, and the sinking of daylight that now sees me leaving the desk as the dark of the evening has set in, that says winter is here. Cover beans in water and soak for a day or overnight, changing the water once or twice or adding more water, when convenient. Heat some olive oil in a saucepan, add onions, carrots and about a minute or so add celery. Stir it all around so it all coated in oil, not soaking in it! Let it cook away for a couple of more minutes, just for all to look and feel combined. In between stirring and mixing it up, add garlic, rosemary, thyme and paprika. Stir all together. Then add the dice tomatoes. Stir and mix together. Add bay leaf, salt, pepper and cayenne pepper. Put the lid on your saucepan, you may want to add some hot water, then let simmer away for minimum of 40 minutes. Serve topped with parmesan cheese, as I have or use yogurt or your favourite garnish. Soup without a bread in incomprehensible, so grab your favourite, mine Zeally Bay organic sourdough and spread with a nutritional food such as tahini, avocado, hummus or simply, traditional butter. I always use fresh and/or organic where possible. Also, a few links have been added to highlight the nutritional benefits of just some of the foods. There’s such an array of activities available today to help and keep us feeling well and healthy. It’s the structured form of exercise that we are requiring more of as our lives become more confined to living a sedentary lifestyle; we live in homes that require less physical activity as there’s minimal if any garden to attend to, jobs that have us sitting at a desk or in a vehicle for hours on end (with only fluctuating spurts of standing) or we choose to sit for a duration of time viewing a screen whatever size it maybe. After a five month recovery from surgery, I’ve been pondering my activity options as I need to expand my exercise routine. My routine of late has involved walks combined with a bit of incline running, to practicing my friend JessieChapman's yoga dvd at home. But now I want more, but on contemplating an hour’s combat class it would be pointless, as I couldn’t physically sustain that duration as yet. I have added to my routine lately a weekly visit to the local aquatic centre, that activity has involved walking a few laps of the 25m pool(at a rapid pace) followed by swimming a few laps (at a not so rapid pace!). I then discovered aqua fitness. I love being in the water, preferably ocean, I was searching for the next level of exercise, something that was going to be a tad more invigorating than my walks and stretching, but nothing too strenuous that I'd feel deflated or strained because I wasn’t at the level of fitness required for the exercise. So, I have now experienced my first deep water aqua and movement unlimited class. The deep water has now become part of my weekly routine, its has benefits and its entertaining! Forget the notion of “that’s for the old folk” . Yes they are there, but so are the young and physically fit all adding variety to their exercise regime. 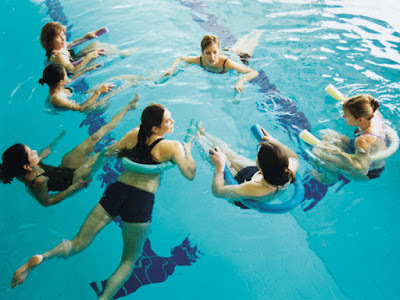 Who else is out there getting physical with aqua fitness is the lovely Mandy who set up Aquamums. Aqua fit may not be the most heart-racing form of exercise, but it is great for the mind, coordination and to put you into stead for a great nights sleep. A whole body conditioning workout to improve overall strength, particularly the core (abdominal) muscles. Participants are required to wear a buoyancy belt as your feet are off the bottom of the pool. A high intensity class designed to elevate the heart rate and improve fitness levels. May involve some moderate resistance work for strength development. An ideal class to add as variety to your weekly fitness regime. A fun class with a gentle touch. Designed for the older adult, beginners and pre/post natal, classes are social, gentle and conducted in a comfortable / safe environment. A moderate intensity aerobic workout with a focus on a ‘variety’ of exercises, with ‘fun’ being the key ingredient. This workout is aimed to improve muscle tone and flexibility. As I regain my fitness and wane from this activity to the next, I’ll be grateful for the experience and the next level of fitness Aqua Fit has taken me to and hope in decades to come, I’m still confident to don the swimsuit and frequent an aqua fitness session. 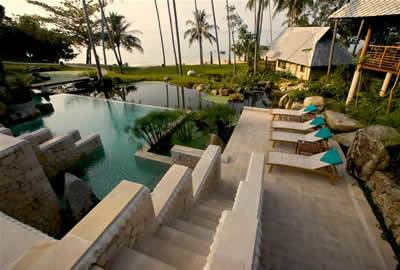 To experience aqua fit on your next holiday book your Spa Wellness Travel holiday staying at either stunning spa health retreat - Kamalaya + Absolute Sanctuary in Thailand. Its been months since I’ve had a massage, due to the fact I’ve been convalescing from surgery. But now, as the wounds have healed and as my body transitions back to its regular movements, a yearning for that massage to release the stiffness within my body from holding itself came to fruition. The time had come, but still not completely comfortable with skillful hands rubbing, kneading and pulling at my muscle and skin or me laying in one position for the duration of an hour, I made a quick decision to call and book. Done, I booked in for a half hour massage at a Chinese massage shop. My massage options two, one with clothes on or the other a little more expense involved clothes off and the use of oil. I opted for the latter. It was a no fuss affair; curtains created cubicles while us patrons lay and the masseuse delivered a sense of ease and release. My body did feel the benefit, but I did walk out thinking of the longer more private and comforting massage within a day spa. There are varying types and reasons why people embrace the down time of a massage. 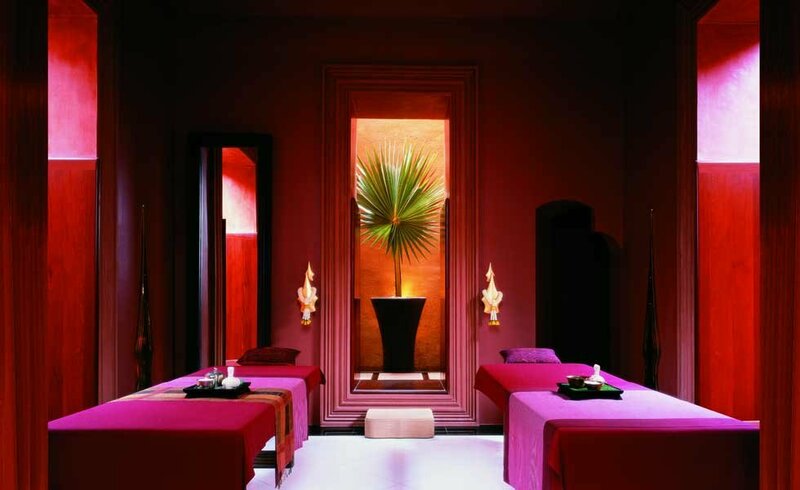 I don’t regret the massage, but I do so look forward to the aromas of a day spa, the rituals that can be involved in a massage, whether its selecting your aroma or the pressure of technique, to the ambiance of the room with lighting and soft tunes or the comfort in the temperature as you lay naked or under a cloth. 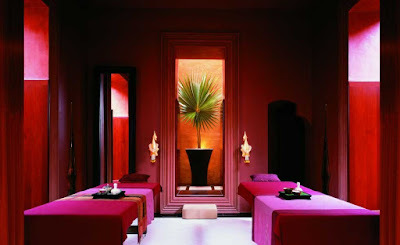 The soothing strokes of a relaxing massage can not only benefit the body, but the mind and the soul as well. To lift yourself from off the table, get dressed and walk out to face the world and have that smile and feeling of bliss, is why I still love a day spa experience. 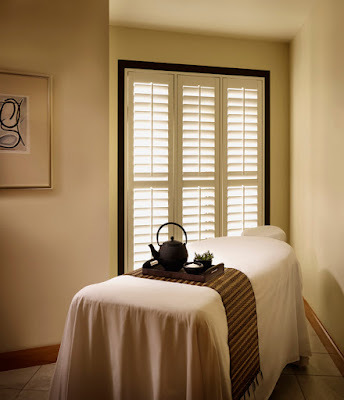 When and where was the last time you had a blissful massage experience? It's a given spa treatments are not just for women. 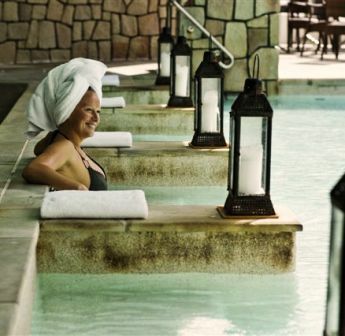 Peruse a spa menu and you'll often discover a dedicated 'his' and 'her' spa treatment section within the menu. Over a decade ago I was with a boyfriend transiting in a Bali, I went a booked a facial for myself and a massage for him. On return I informed him of the spa appointments and his response was "why didn't you book me in for a facial?". With a questioning look, I responded with "since when have you cared about your skin? ", I went and changed our spa appointment to two facials. 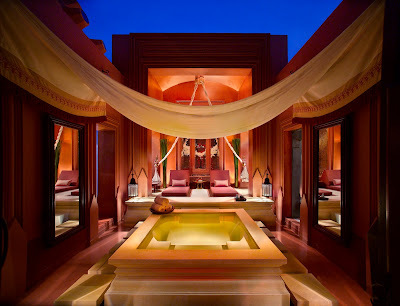 I am delighted to advise the premier luxury spa The Barai within our Spa Wellness Travel Collection has just launched the new 'For Men' treatments using Pevonia Botanica spa products which have been designed combining marine compounds with botanical compounds in order to deliver highly visible results. This is a sensuous natural clay massage. Relax and detox abilities from amino acid extract and vitamin enzymes. Suitable for sensitive and sun burned skin. Water lilies and an extract from white lotuses relieve muscle aches, free radicals and sooth the skin. Ideal treatment for relaxing with a Swedish integrated massage. This treatment increases blood circulation and energy metabolism with the use of extracts of methyl nicotinate and niacin. It is especially designed for those who prefer heavy massage or sport lover. This exclusive anti-aging treatment for men exfoliates and relaxes the skin, reduces wrinkles and tightens the skin with a repairing freeze-dried escutox, a natural botox registered by Pevonia. Pearl extract also helps brighten the skin and the best caviar is applied to repair and revitalise the skin to a youthful look. The all-in-one spa facial treatment is designed especially for him. Marine DNA polypeptides from marine collagen helps tighten pores and deeply hydrate, its potent and is quickly and easily absorbed for an immediate and visible result. 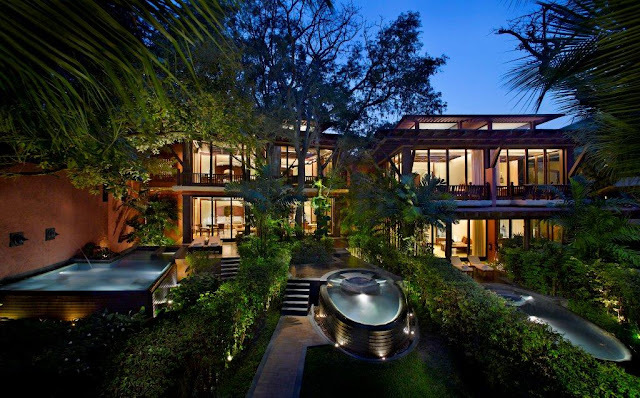 From the onset of opening its doors in 2005, Kamalaya has been an award winner. When I was a participating judge of AsiaSpa magazine, Kamalaya always featured in the nominations and would walk out with winning at least one award. Whether being industry or tourism focused, the award for cuisine or destination spa, Kamalaya has always been deserving. Congratulations to them! 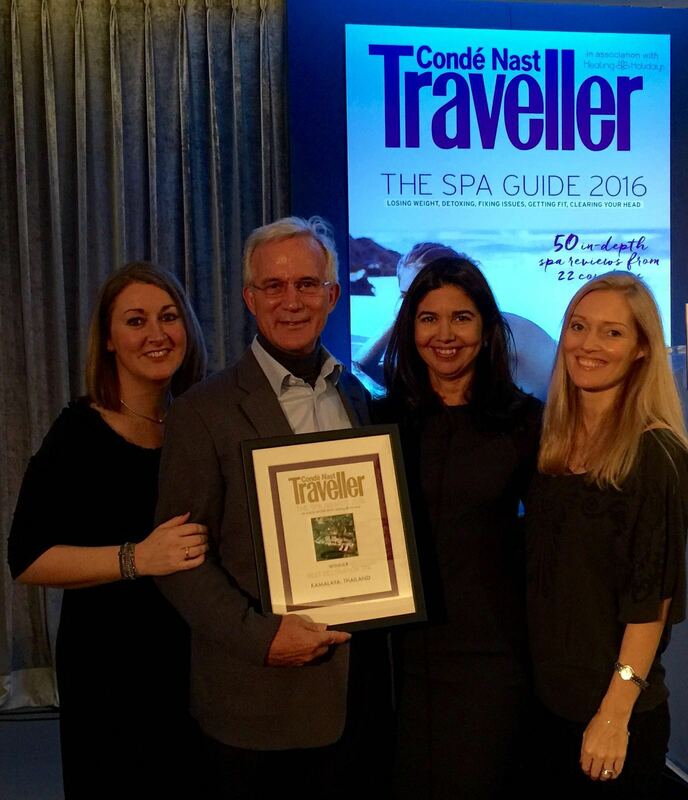 At the prestigious Condé Nast Traveller Spa Awards 2016 held in London on 2nd February, Kamalaya Wellness Sanctuary & Holistic Spa was honoured to be named “Best Destination Spa”. Whether a first time guest or a repeat guest, maintaining or needing to enhance your happiness and wellbeing, Kamalaya Koh Samui has a great array of purposely designed programs.